Think about something you are struggling with right now. the loss of a dream? absent spouse? difficult children? uncertain future? I’ve shared from my own experience how I needed to trust God’s provision even when I struggled with his calling. I shared how when I cried out to Him for clarity and a solution…He answered. What if you don’t feel joy despite God’s goodness? Doubt and sadness are present even though He answered in a tangible way. But…there is also a small piece of your heart that believes God loves you and knows what’s best for you. God tells us all He needs is just that small piece. That tiny portion of you that goes back to the idea that He is good. 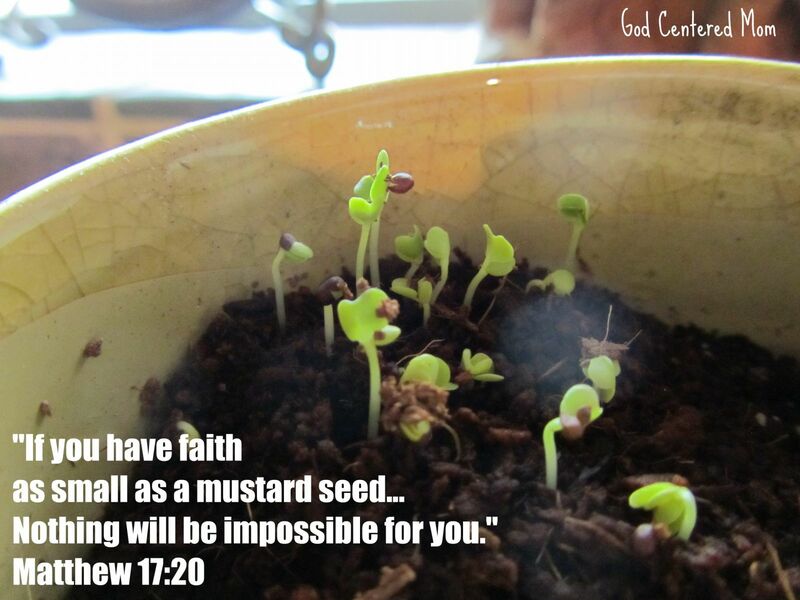 He compares it to a mustard seed. You may still be grieving the loss of the dream. You may still be saddened about the state of your marriage. You may still be frustrated that your children are challenging. You may feel hopeless about the future. No matter what you feel. As long as you have the tiniest bit of faith that God is good. That He loves you. That He sees you in your struggle. That He will provide a way out. A hope. A future. Then in His strength, with that tiny bit of faith, you can do the impossible. find your little bit of faith. plant it in your heart & watch it grow! Your words always touch my heart!!! Thank you so much for writing this. I needed to hear it today. I’m putting all my faith (small though it may be) in the God who makes a way where there seems to be no way! Thank you so much for linking up. This is one of my most favorite verses in the Bible (hence the name of my blog!!!) thank you for this sweet reminder and linking up!!! Good words, something I needed at the end of this crazy nuts day we just had. So true, holding on to my faith in my God who has called me to this ministry in my family!